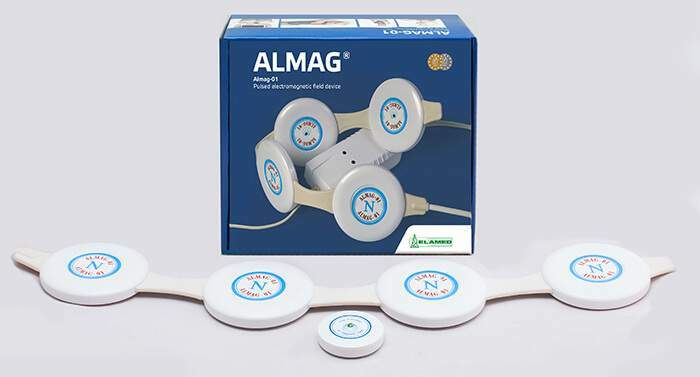 One of the flagship products found in our catalog, Almag-01 is a device that brings all healing benefits of pulsed electromagnetic field therapy to you. 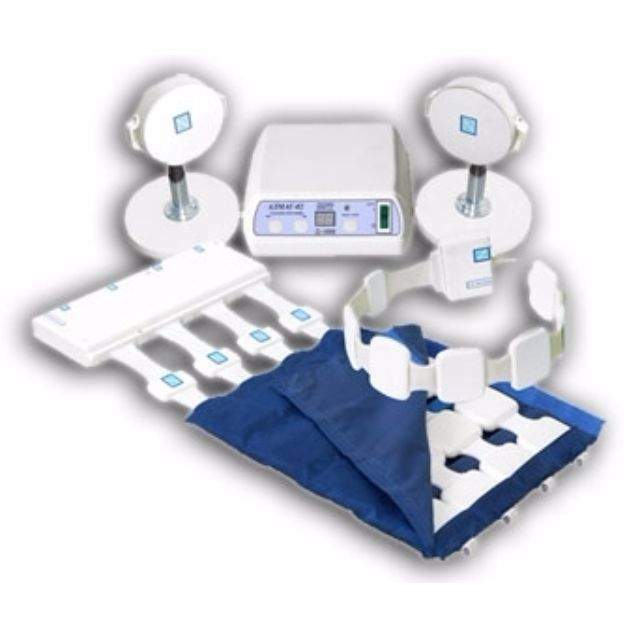 The outstanding feature of this product is that it offers non-invasive, medication-free treatment of pain, diseases, traumas, injuries, complications, and other medical conditions. Therefore, the Almag-01 magnet therapy device not only eliminates the need to go under the knife but also helps regulate the drug intake of patients on their way to relief. When you buy Almag-1 manufactured by ELAMED, you can expect your device to come with a pulse generator, four emitters, PEFM indicator, and connection cables. All these components are included in the Almag-01 price. The set is suitable for both hospital and home applications. As for the operation principle of Almag-01, it is based on low-frequency PEMF. The device produces electromagnetic fields which feature frequencies within that range of a human body. It then directs these fields to damaged organs and makes them penetrate tissues as deep as 8 cm through four emitters. Consequently, this helps body cells stimulate the natural healing process and treat injuries directly. ~120V (-10V; +6V), with 60Hz in frequency. up to 0.62 kg in weight. Please note that max. deviations can be ±3%. Working frequency of the magnetic field: 6 Hz. Duration of pulse generation: 1.5-2.5 ms.
Amplitude of magnetic induction on the flat surface of an emitter - 20±6 mT. Two indicator lights show when the device is connected to a power supply and when the process of PEMF generation starts. standby mode of at least 10 minutes between operation cycles. Average service life: 8 years. 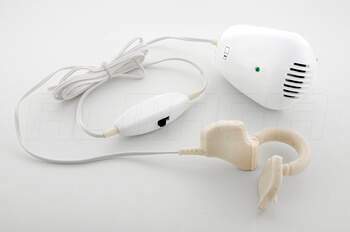 All components of the device are made of hypoallergenic materials. Plus, they can be disinfected using any approved disinfection solution. MDD 93/42/EEC classification - Class IIa. Before you order Almag-01 in the USA or any other country, please carefully read the instruction manual. 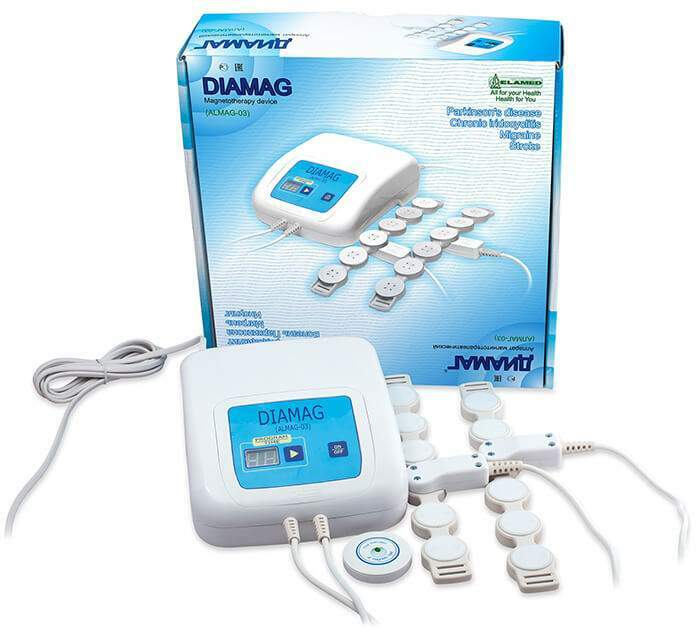 The therapeutic effect of the ALMAG 03 due to the use of a pulsed magnetic field. The effectiveness of techniques are proven by clinical studies.